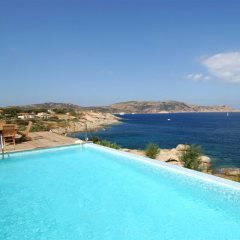 Ah, the weather in Corsica! 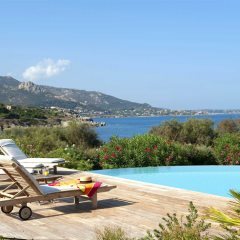 The island enjoys superb summer temperatures and don't forget, Corsica has one of the highest sunshine records in France, with an average of 2,793 hours per year - that is 7.5 hours a day! The following chart shows a comparison between Corsica and London of average hours of sunshine per day and temperature over the period of 12 months. 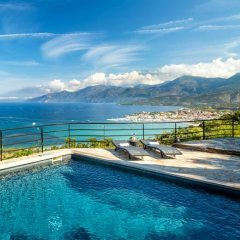 May is a fantastic time to visit the island of Corsica, with the average temperatures creeping up and long sunshine hours awaiting holidaymakers. 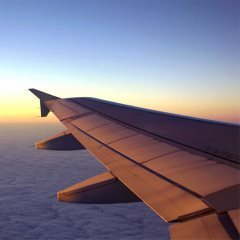 The temperature often breaks into the low-20s, and with it comes up to 10 hours of sunshine a day, compared to the four hours enjoyed in London in May. 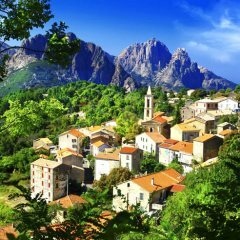 While the water may still be a bit cold, hitting the beaches of Corsica's expansive coastline isn't completely out of the question, though others may prefer to enjoy the pleasant weather combined with hiking or cycling. 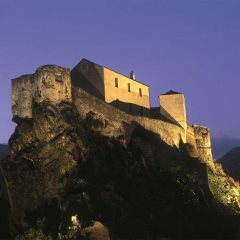 May also hosts the A Fiera di U Casgiu in Venaco - a rural cheese and local produce fair in Venaco. 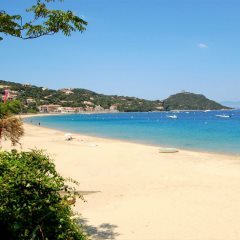 Pack your swimming gear, your sun hat and the sun cream, the weather in Corsica in June begins to get nice and hot, ideal for beach breaks. 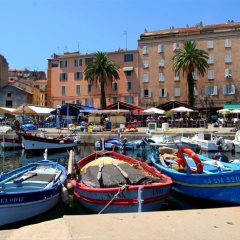 Whether you opt to explore the beaches around St Florent or the coastline in the south of the island, holidaying families and couples will revel in the Corsica climate when June comes around. 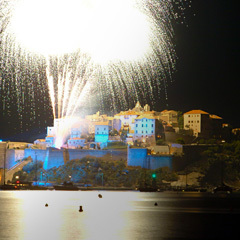 June also hosts a famous jazz festival in Ajaccio, an event you can enjoy in the sunshine or during mild evenings, with the Ajaccio weather conditions ideal for some city exploration in June. 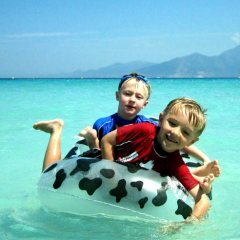 As the summer holidays arrive so do the crowds flocking to the Corsican coastline during the month of July, and for good reason too, the weather in Corsica in July is superb. 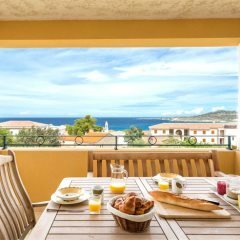 Average high temperatures of 27 degrees await beach bums looking to lap up the very best of the island's beaches, while others will enjoy relaxing in the sun beside the pool of their villa or hotel. 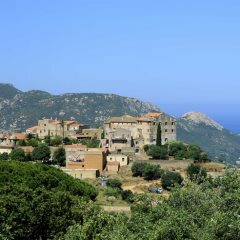 If you fancy escaping the heat, getting to higher altitudes will bring cooler temperatures, so take some time to explore the villages of La Balagne or the beautiful nature around Corte in Central Corsica. 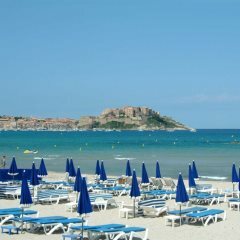 August is the island's hottest month, with Corsica experiencing temperatures averaging around the high-20s. 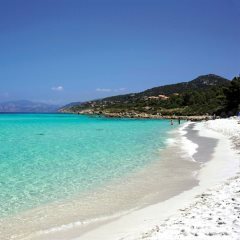 Beach holidays go hand in hand with the month of August in Corsica, with tourists flocking to sandy strips around L'Extreme Sud, Calvi and Cap Corse to make the most of the weather. 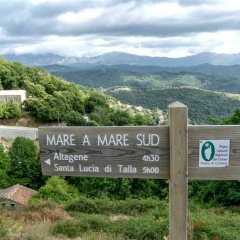 While it may be a little too hot to go hiking or cycling around the island, you can still get active and adventurous in Corsica throughout August, primarily on the water across a range of water sport opportunities. 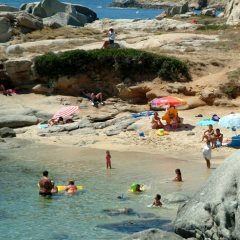 The weather in Corsica in September is still pleasantly hot and sunny, proving a great time to visit the island for those hoping to avoid the summer holiday crowds. 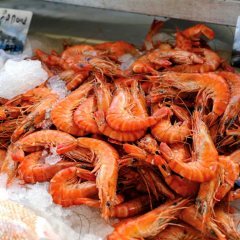 The later you get into the month, the quieter the beaches and core tourist destinations become, though the temperatures will rarely dip below an average high of the mid to low-20s. 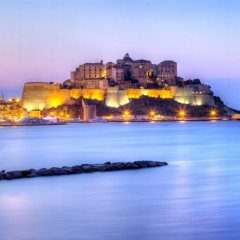 The weather in Calvi will prove great for a variety of activities, from indulging in beaches and exploring the citadel, to eating al fresco and experiencing the captivating Polyphonic Singing Festival. 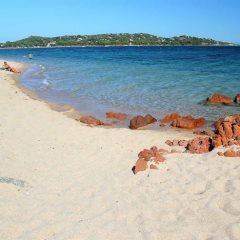 A maximum average temperature of 22 degrees awaits those holidaying in Corsica during the month of October, and while the weather in Corsica in October doesn't hit the heights of July and August, there are still some sunny days hanging around that warrant a visit to the beach. Others will relish the decreasing temperatures, using the pleasant levels of heat as ideal conditions for outdoor adventures. 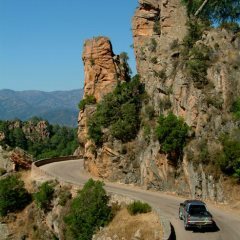 Cycling and hiking are hugely popular across Corsica, and while they can be particularly draining during the heat of the summer, October provides some of the best conditions for adventurous activities. Temperatures begin to drop sharply as November rolls in, ensuring that the month will see most beaches and hotel pools emptied. 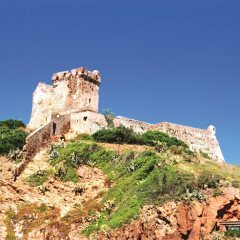 Instead, visitors will use the cooler days to get out and about on foot and explore some of Corsica's intriguing towns and cities. 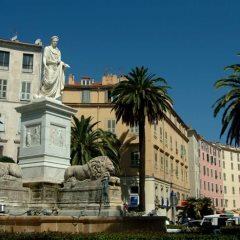 A visit to Ajaccio, Bastia and Bonifacio are essential for anybody hoping to delve into the interesting history of the island, with a number of intriguing museums, such as Napoleon Bonaparte's childhood home in Ajaccio, proving good places in which to shelter from adverse weather conditions. 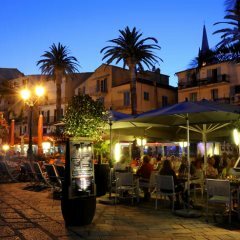 As Christmas rolls around, the majority of holidaymakers won't picture Corsica as the most obvious choice of holiday destination for the festive season. 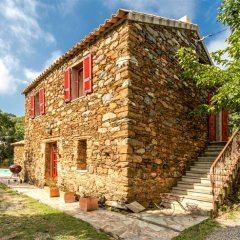 While the weather conditions can justify this, with temperatures rising no higher than the mid-teens, Christmas is still a very interesting time to visit the island of Corsica. 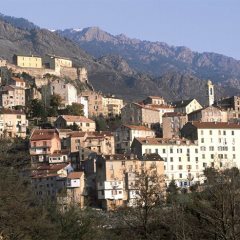 In addition to experiencing the island's festive celebrations, December can be a magical time of year for wandering some of Corsica's heritage cities, towns and villages. 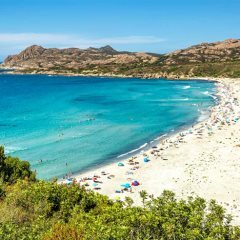 January is the coldest month on the island, and the Corsica climate won't be suggesting the likes of swimming costumes, flip flops and sun hats for holidaymakers flocking to the Mediterranean for the beginning of the year. 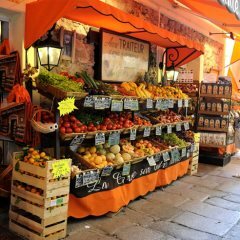 The cooler temperatures are best dealt with in the cities and towns, where holidaymakers can duck into informative museums, inviting eateries and interesting shops to escape the cold. 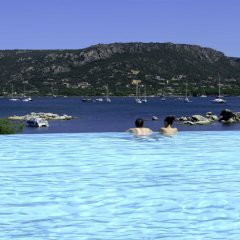 February, like January, is a cold month on the island of Corsica. 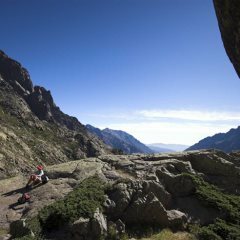 While the Corsica weather won't reward those in search of the sun, sand and sea during February, those looking for a different type of powdery indulgence will be surprised to learn that Corsica's mountains provide a great draw in February. Skiiing is possible in Corsica throughout February, and given that over 80% of the island consists of mountains, this should really come as no surprise! 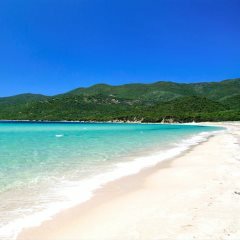 The average temperatures begin to creep up again during the month of March, and while skiing is still possible in the mountains of Corsica during this month, longer sunshine hours and more heat will begin to turn the heads of those seeking the best of Corsica's coastline. 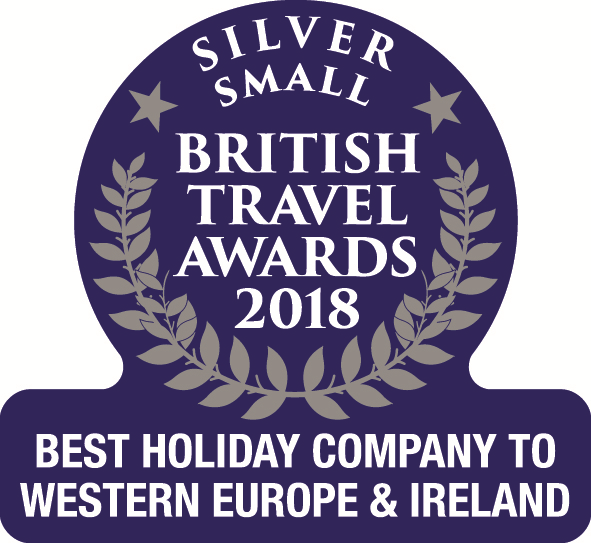 Only the bravest of tourists will be mad enough to take to the cold sea in March, though other adventurers will welcome warmer temperatures for activities such as hiking and cycling. 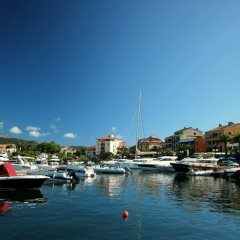 The weather in Corsica in April begins to become a bit more desirable for those seeking some sunshine. 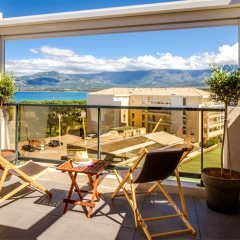 During the Easter holidays it isn't unusual to see holidaymakers on the beaches or by the pool, with temperatures creeping into the high-teens. 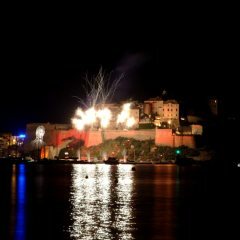 Another great reason for visiting the island in April is to experience Corsica's vibrant Easter celebrations, while others will find April's weather perfect for outdoor adventures in the mountains. 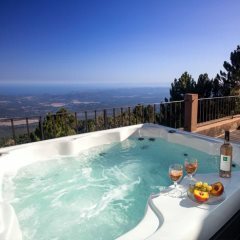 Tempted by the fantastic weather in Corsica? 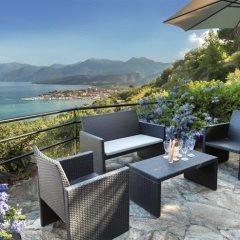 Get even more inspired by the prospect of a holiday to Corsica by checking out our Holiday Ideas page, offering advice and insight into a range of holiday types across the island.